The Association of Personal Care Home Operators of Saskatchewan promotes and encourages Care Home operators in Saskatchewan through a Code of Ethics and Advocacy of training and Care home operation for all its members. 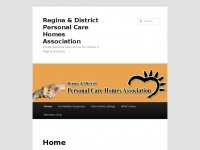 Keywords: Personal Care home Operators Saskatchewan Promotion Of Homes Advocacy for Homes. A profile of Carehomes.ca was found on the social network Facebook. The web server used by Carehomes.ca is located in Lake Forest, USA and is run by Sparta Inc. AESO. On this web server 17 other websites are hosted. The language of those websites is mostly english. The webpages of Carehomes.ca were developed using the programming language PHP. For managing the data of the webpages the CMS Joomla! is used. The website uses the latest markup standard HTML 5. The website does not specify details about the inclusion of its content in search engines. For this reason the content will be included by search engines.